I simply roughly chopped the apricots and added them to the blender with the lemon juice. I wizzed them up until they formed a paste. 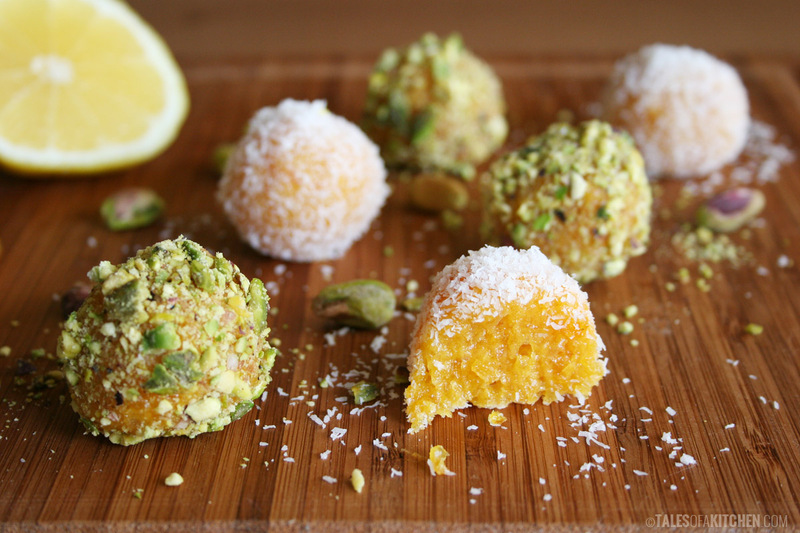 I then shaped the paste into tiny balls and rolled half in crushed pistachio and half in dessicated coconut. And that’s it. Really. Eat my truffles! Not all at the same time, though.